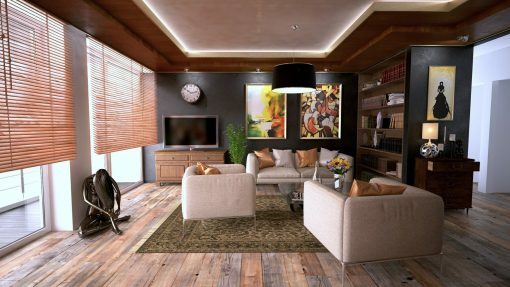 Creating your dream home from the ground up is a great way to get a custom space that directly reflects you and your needs. But while you might look forward to moving into the final product, the actually process of getting your home built can be very stressful for many people. So to help ensure that you get the right people on board with you throughout this whole process, here are three tips for hiring a quality contractor to build your home. Finding a trusted and reliable contractor can prove challenging for some people. While you can take a look at contractor’s website and their reviews online, many people find that they trust more personal recommendations more. If this sounds like you, This Old House recommends that you check with your personal network of contacts to see who they’d recommend. Especially if you know someone who has previously worked with a contractor on their own home, that person might have great insight to help you pick the right team to employ. You could also go to places like lumber yards or speak to building inspectors to see which contractors in your area have the best reputation for creating quality structures and staying on budget. Once you’ve found a couple of contractors that you might want to work with, you’re going to want to ensure that all their paperwork is in order for their business. According to Teresa Mears, a contributor to U.S. News and World Report, you should check to make sure that the contractors you’re considering working with are licensed and properly insured. Additionally, you may also want to check on any complaints that have been made against them or if they’re currently involved in any litigation. These might raise some red flags that will help you make your decision a little easier regarding who to work with and who not to. Communication is key when picking a contractor to work with. You’re going to want to ensure that your contractor understands what you want and will inform you of how the project is progressing or if things need to be changed. In the time before your project starts, pay close attention to how well you can communicate with the contractor you’ve chosen. And once your project gets underway, Oliver Marks, a contributor to House Logic, advises speaking with your contractor in person as often as you can to ensure you’re always in the loop about what’s going on with your home build. If you’ll be hiring a contractor soon, consider using the tips mentioned above to help you make this all-important decision.